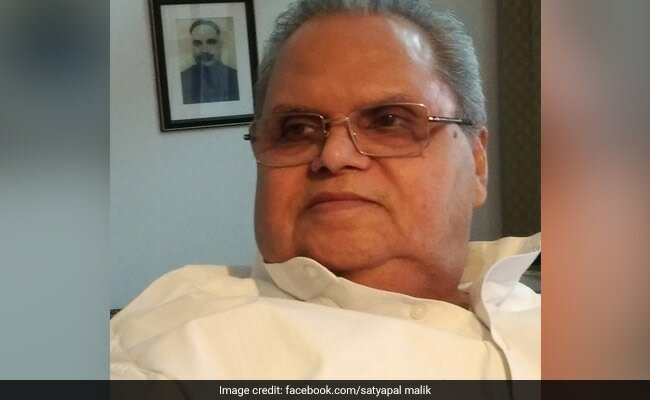 Are governments made on social media, Jammu and Kashmir governor Satya Pal Malik bit back today as he responded to Mehbooba Mufti’s charge that she had to tweet her letter staking claim to power as her calls and fax were not received. Governor Malik also defended his decision to dissolve the state assembly just after receiving two claims to form government – a move questioned by opposition parties who allege that he on instructions to stop a non-BJP government in the state. The assembly dissolution sets the stage for elections in the state two years before term. Mehbooba Mufti had alleged in her tweet last evening that she tried to call the governor and then attempted to fax her letter, but failed. She had claimed the support of her rival Omar Abdullah’s National Conference and the Congress. The governor asserted that he had not received any message from either Mehbooba or the other claimant to power, Sajad Lone. “Do governments get made on social media? I don’t tweet or see my tweets,” the governor said on Ms Mufti’s tweet. Even if he had received the fax, he said, the decision would have been the same. “This grand alliance was opportunistic,” he told reporters. “There was an attempt to horse-trade by those who don’t want elections, who had boycotted local polls. I had no vested interest, but acted in the interest of the state. I wasn’t biased towards anyone. I didn’t entertain either side but went with Jammu and Kashmir’s constitution. I didn’t even ask Delhi,” he insisted.